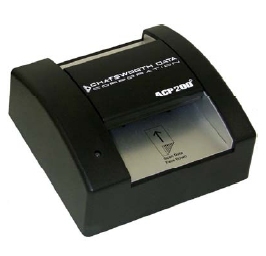 Significantly faster than keyboard entry, the ACP 200 / ACP 216 reads one side of an input form, via bi-directional insertion, scanning the form automatically as it transports and buffers the data. Once the form has been scanned, the resulting data string is automatically transmitted to the communication port. Utilizing a powerful command set allows the end-user to easily program the output data format.